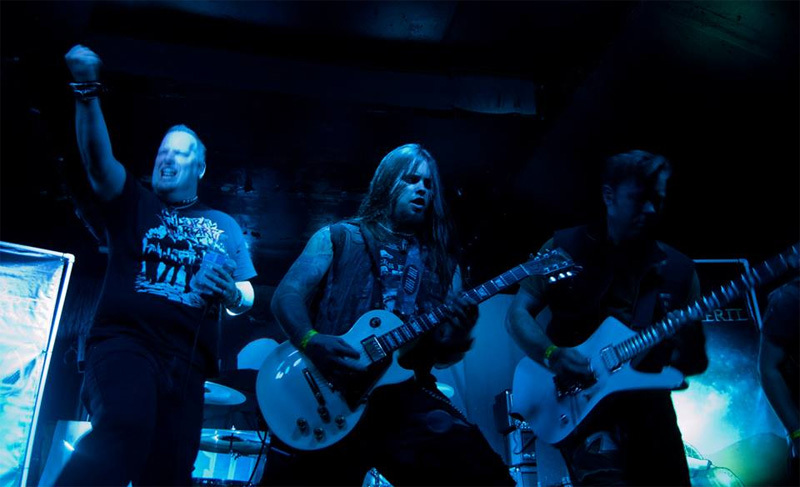 Created to combine his love for heavy metal and science fiction, hardly an odd combination in metal, guitarist Jason Ashcraft created Dire Peril. His vision was to deliver three sci-fi themed EPs, and built his band around Bay Area guest musicians. Queen of the Galaxy is the second EP in the trilogy. Dire Peril: best picture I could find. In one sense, it's a mixed bag of music. Alternatively, it has a common thread of classic American heavy and power metal. My Vengeance Is Everything is basically a combination of power metal with thrash metal, heavy on the latter. The pace is quick, the riffs and drums thrashing about like so much mayhem. 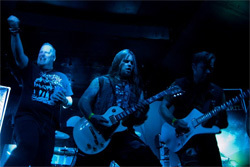 Norman Skinner (ex-Imagika) draws upon his throaty vocals to sing, scream and sometimes growl along the way. Space Invaders, based on the old Atari game, is likely the closest thing to true power metal, siding more with speed and less with thrash than the former. But, we're probably splitting hairs with this comparison Skinner also sounds a bit more melodic. Queen of the Galaxy follows with vocalist Brittney Hayes from Unleash The Archers taking the lead. Against the other two, this is the most melodic and smooth of all the songs, still metal but not as coarse. It's the best song here. Across all the originals there's some mighty fine traditional metal leads from guitarist Jearme Greathouse. As with their previous EP Astronomical Minds where they did a cover of Blue Oyster Cult's Godzilla, offers a their rendition of Boston's Something About You. It definitely follows the melody and arrangement, especially in the vocals, of the original, only sounding heavy metal desperate. It's not bad, but Skinner's vocal interpretation may give some Boston fans pause. 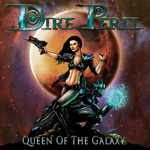 With the second of three proposed EPs, Queen of the Galaxy, Dire Peril brings some traditional American power, with a strong measure of thrash metal at times.